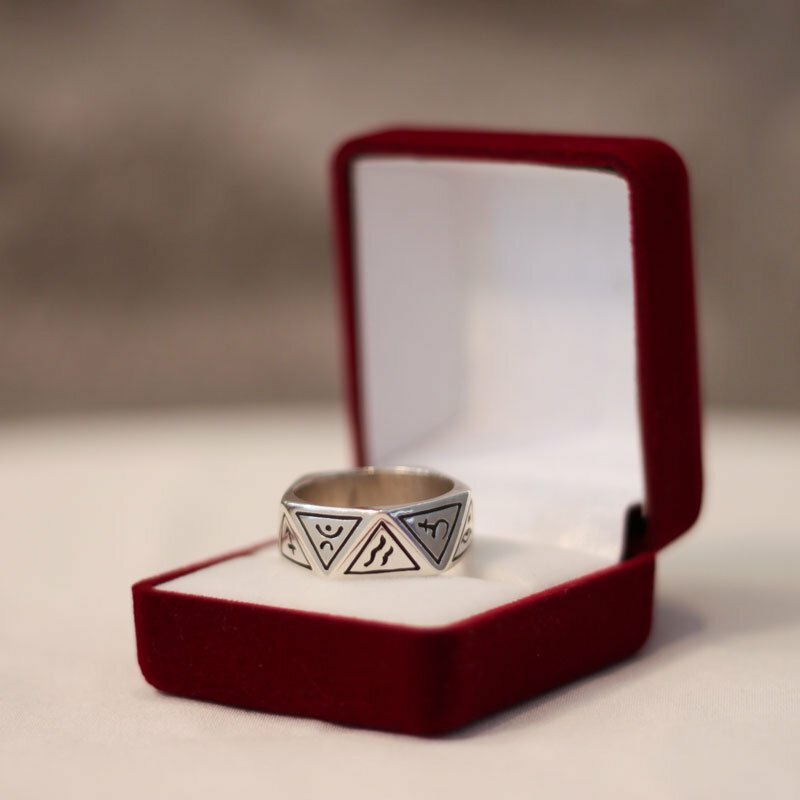 The unique ring design combines zodiac symbols, ancient rune, and pagan symbols. 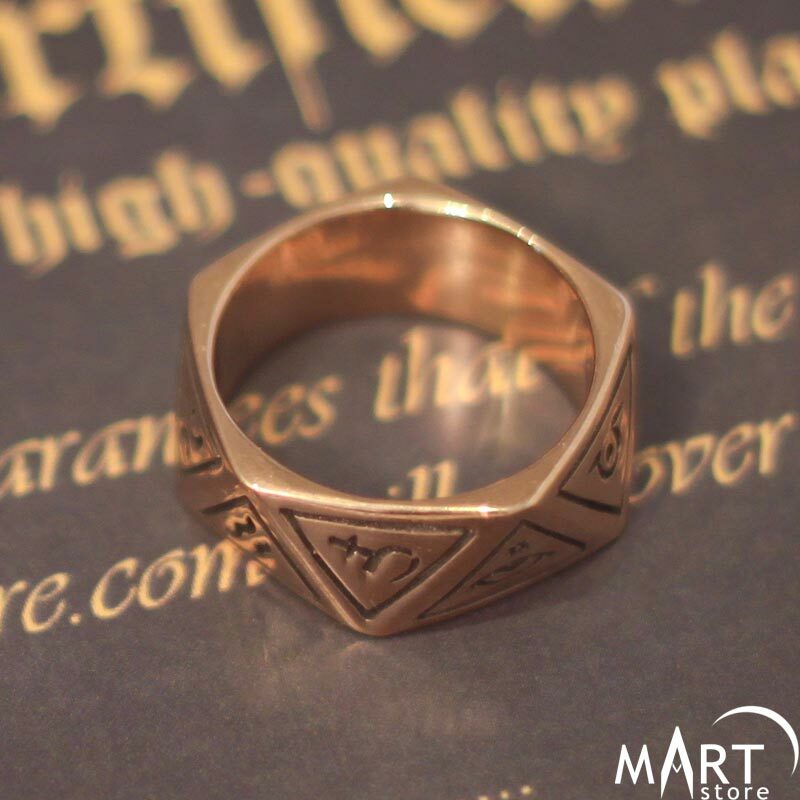 On the ring is engraved and one of the most recognizable Masonic symbols – The Eye of Providence. The triangular shape of the ring symbolizes two of the four earth elements - Earth and Air. “Triangle ring - Zodiac and Pagan symbols” is made to order. 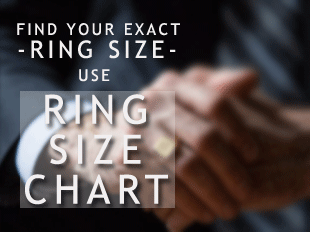 It will be cast and modeled specifically for you as soon as you place an order. The manufacturing process and our special attention ensure that you will own a unique piece of jewelry. When you make an ordering this ring, it will be entirely handmade specifically for you and your requirements. The Triangle ring can be made of Sterling Silver 925, Gold-plated Sterling Silver or Oxidized Silver in any size. Also can be made of Solid Yellow, Rose or White Gold 10ct, 14ct and 18ct. One-year warranty certificate to recover the ring`s paint / enamel (if you order such).